Production on Matt Reeves’ The Batman has largely been shrouded in mystery since the project was first announced. After failing to make traction for a few years, the project is finally making some progress with plans to begin shooting later this year. Although the screenplay is now complete, details on its plot still have yet to be revealed. While we are still waiting to find out more about the story, Penguin has long been rumored to be one of the movie’s lead villains. Of course, the people at Warner Bros. and DC have not commented on the rumor one way or another. It’s also important to note that even if including Penguin is the current plan, things can still change before The Batman begins shooting. Reportedly, the movie will start filming in November of this year, and there’s a lot that can happen in nearly a full year’s time. It’s not even yet clear who will be playing the Dark Knight, as the current plan for WB is to cast the role with a new actor sometime in 2019. Even with Ben Affleck out as Batman, however, the movie still apparently takes place in the DCEU. Penguin has not been seen in a live-action movie since 1992, when he was portrayed by Danny DeVito in Batman Returns. DeVito’s performance has long been one of the most appreciated versions of the character, but it’s odd that Oswald Cobblepot hasn’t made it into a DC movie since. The character is briefly referenced in Justice League, but that’s as close as he’s come to appearing in the movies set in the DCEU. Also completely absent in Christopher Nolan’s Batman trilogy, it would seem that the time is right for Penguin to finally make his way back to the big screen. Meanwhile, Robin Lord Taylor has been exceptional in the role on the Fox series Gotham. As an origin story, the show’s Penguin is a younger version of the character, showing his rise from a lowly henchman into an unlikely gang leader. Gotham‘s Penguin waddles when he walks, giving him the familiar nickname he used to hate but came to enjoy. To Taylor’s credit, his performance has made Penguin one of the show’s most memorable villains. With the upcoming series finale reportedly featuring a time jump, Taylor will be wearing makeup and a fat suit to look more like the familiar version of the character we know from the comics. 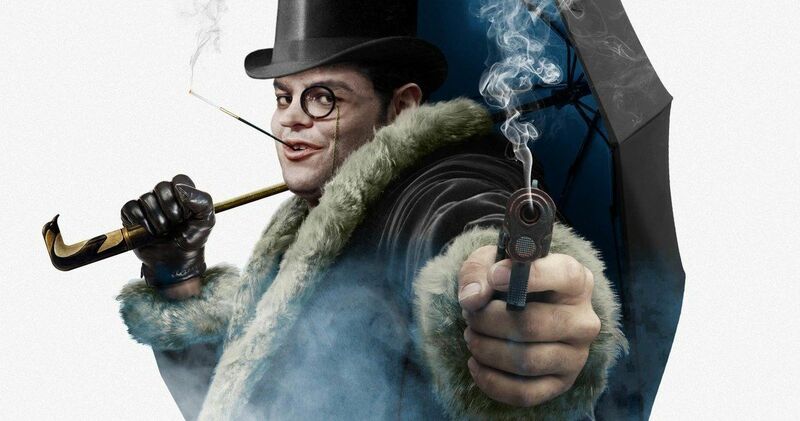 If Penguin winds up appearing in The Batman, it seems likely Gad will be the one to end up playing the role. Jon Hamm has also expressed interest in playing Bruce Wayne, should Affleck be recast. For now, all fans can do is speculate as to what we will see in the finished product. Because we’re so far away from a start date for production, the earliest we’ll be seeing the movie is 2020 or even 2021. Hopefully we’ll still find out some more information soon as to who exactly will be appearing in the movie. You can take a look at Gad’s new Penguin tease below.